The iPhone 8 Red edition is now available globally on shopping stores. The device might as well be the last iPhone with so much bezels, but we a’int sure about that yet. Apple also collaborated with Product Red last year, an organization that campaigns to fight HIV and AIDS in Africa. A certain percentage of proceeds from the sales of the red edition will be donated to the organization. At first we thought there wouldn’t be any difference with the initial version. But the color of bezels on this baby is totally different. Without further ado, meet the iPhone 8 Red edition. What is iPhone 8 Red Price and Availability Status? Sports a Stainless steel overall unibody and covered exquisitely in glass, the red version of the iPhone 7 wasn’t covered in glass. So this Red version will dish out a sleek vibe and reflect light beautifully. The device still comes with its IP67 certifications, offering dust and water resistant. Nonetheless, you still have to get a case for it, to avoiding getting a rear cracked glass. This red color brings out the true beauty of the iPhone 8 and shows us exactly what glass can do at the back of a device. As usual, it measures 7.3mm in thickness and weighs 148g overall. At first glance, you would notice the bezels are black, unlike what we saw on the red version of iPhone 7. Now the black bezels have been adopted from the Space Gray color of the iPhone 8. Furthermore, it ships with its home button which doubles as a fingerprint scanner. The compact 4.7-inch LED-backlit FHD IPS LCD capacitive touchscreen might be a little too small in a world of big screen phones. However, it has a resolution of 750 x 1334 pixels with 326 pixels per inch density, giving you clear and sharp visuals. Additionally, it has an Ion-strengthened glass, oleophobic coating, wide colour gamut and true-tone display. Still housing the powerful A11 Bionic chip from Apple with Hexa-core processor and 64-bit CPU architecture. The 6-cores of processor on this powerful smartphone clocks at 2.38GHz with 10nm process technology. In the graphics department, Apple’s three-core graphics processing unit is in charge. It has the usual 2GB RAM for multitasking with a memory speed of 933MHz. There are two version in terms of storage space, there’s one with 256GB storage and a cheaper variant with 64GB. The iPhone 8 Red edition runs on Apple’s latest iOS 11.3 operating system. There’s a single 12MP rear camera here with f/1.8 aperture, the camera capture photographs with 4032 x 3024 pixels in dimension. The camera records 4K video as well, boasts of Live Photos with a 1/3inch sensor size, 6P Lens, Sapphire Crystal Lens Cover, Flash True Tone quad LED, Hybrid IR Filter, Noise Reduction, 28mm Focal Length, Smartcam Scene and other quality features. While the 7MP selfie camera has 32mm Focal Length, CMOS BSI Sensor, f/2.2 aperture and takes cute selfies. Powering the iPhone 8 Red is a 1821mAh non-removable Li-Ion battery with fast charging and Qi wireless charging technology. With the fast charging feature, it shouldn’t take up to 1.5 hours to fully charge up the battery from 0% to 100%. 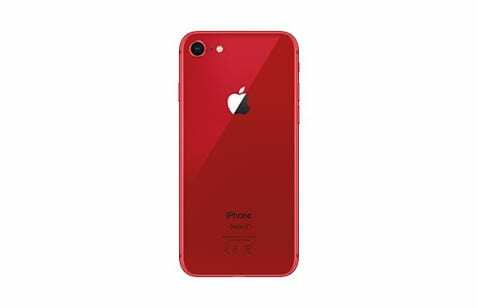 The iPhone 8 Red is available on Shopping stores from $699 (N270,000) to $799 (N300,000). 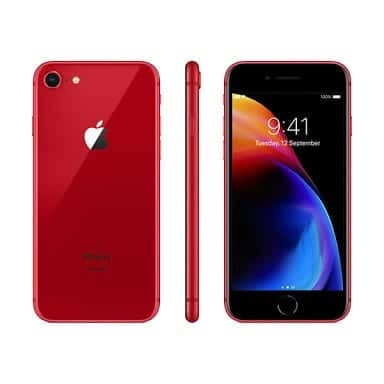 Click on the links above to view the latest iPhone 8 Red price & availability on Shopping stores.